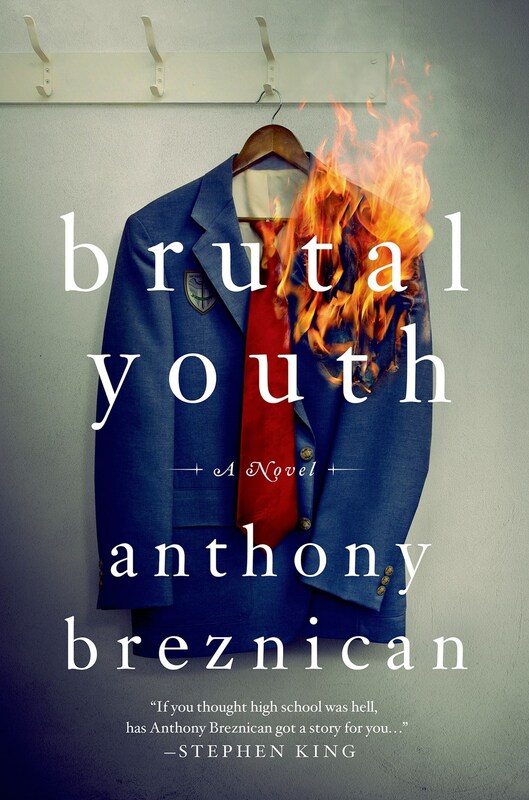 Three freshmen must join forces to survive at a troubled, working-class Catholic high school with a student body full of bullies and zealots, and a faculty that’s even worse in Anthony Breznican’s Brutal Youth. Although I thought the blurb of this book sounded really intriguing, I was actually quite hesitant about reading this book, considering the themes of bullying that were running throughout. 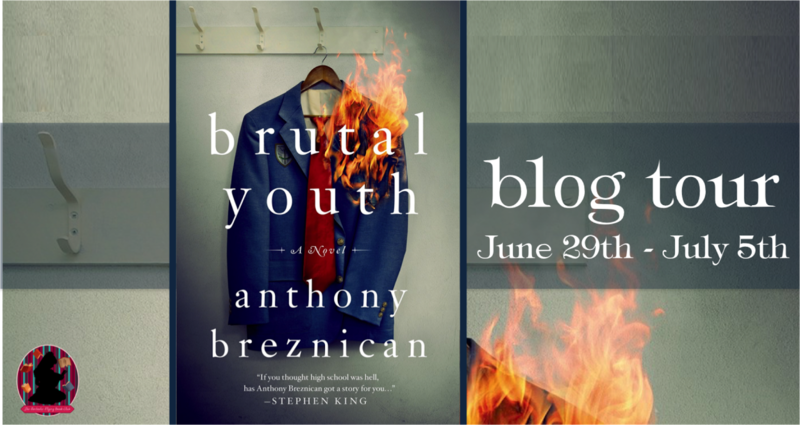 But it did pique my interest and I was fairly happy to be a part of this blog tour. I found this book to be quite a difficult read. The book is very clearly not a happy or even really an uplifting one. I did like Stein and Davidek when they were introduced for the first time. It was good to see there were some of the characters who were trying to do the right thing, even though it meant they might be put in danger. And the way Stein distracted the guidance counsellor seemed to really fit in with his character. I didn’t like most of the teachers in the school, I have to say. Even by the end, I had very mixed feelings about Sister Maria. I didn’t see much care personally for the students on her behalf… and I did think she came across as very weak for a lot of the book. I couldn’t tell exactly what her motivations were, since she didn’t seem to care about any of students… only the school’s reputation. I did like Mr. Zimmer. I felt that he was one of the teachers who really cared about the students… even if it was implied at times he was following Sister Maria’s directions. Even his actions at the end were understandable… but still unnecessarily cruel, in my opinion. I had a lot of sympathy for many of the characters in this, particularly those with home lives that were awful. There were many of the characters that I could relate to… and even the ones I didn’t like, I could empathise with a lot of them. I felt the author did a good job of portraying the cycle of violence and how it escalated as each new set of students reached senior level. There were some very awful things that were done… and I felt the author showed all kinds of different bullying and abuse. (Just because you can’t see a visible mark doesn’t mean nothing’s wrong). I can’t say I’d read this book again. It was well-written and I thought it demonstrated the problems pretty well. And the title definitely fits the theme of the book. But at the same time, it was hard to read emotionally. Which means it did its job. And in the future, I would be interested in looking at further books by this author. 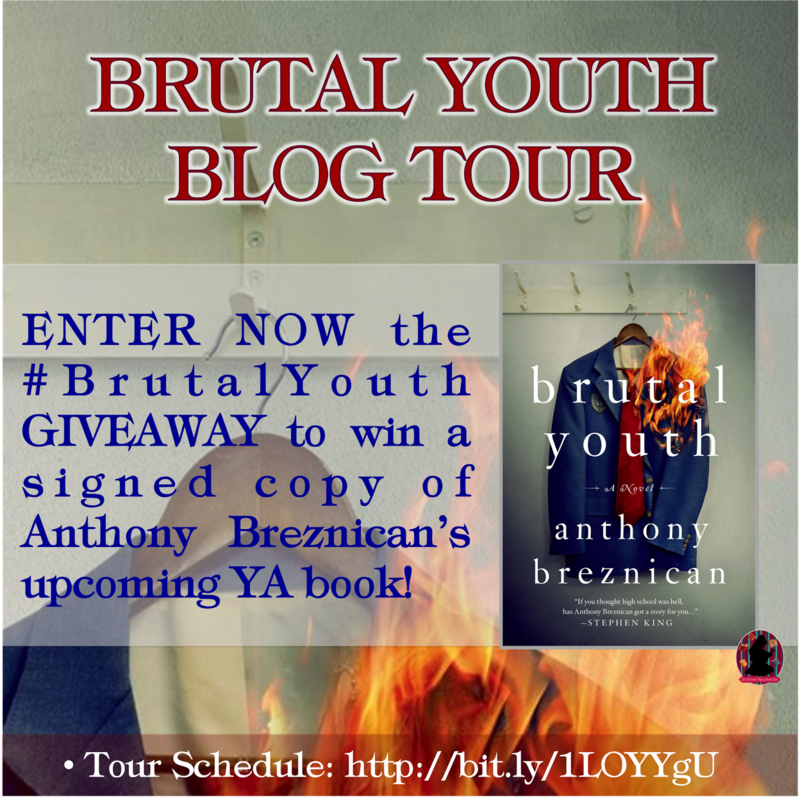 Follow the Brutal Youth by Anthony Breznican Blog Tour and don’t miss anything! Click on the banner to see the tour schedule. 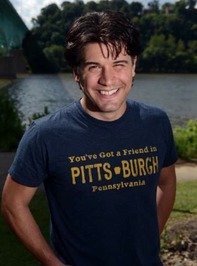 Anthony Breznican was born and raised in Western Pennsylvania and graduated from the University of Pittsurgh in 1998. He has worked as a reporter for The Arizona Republic, Associated Press, and USA Today. He is currently a senior staff writer for Entertainment Weekly. 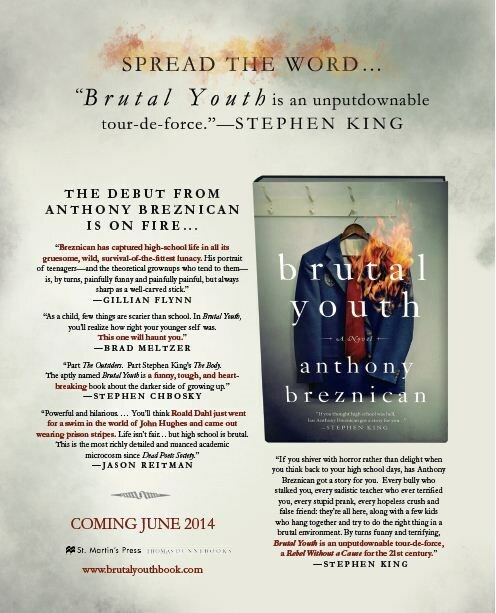 Brutal Youth is his debut novel.